Firstly, because I'm Portuguese. But aside from that, I met some Portuguese Erasmus students last year in Rio de Janeiro, and they convinced me to move to Lisbon. About 6 months. 700 euros in total! What is student life like in Lisbon? Erasmus life in Lisbon is super cultural. You get to meet people from all over the world (the majority being European), travel a lot, visit amazing countries, go to Bairro Alto and to incredible nightclubs. Would you recommend the city as well as the University of Lisbon to other students? I absolutely recommend the city of Lisbon, it's incredible. Católica University of Lisbon is excellent. Great teachers, friendly and interesting students and a cultural events programme. What is Portuguese food like? Portuguese food is fantastic, such as pastries and codfish with cream. How easy was it to find accommodation in Lisbon? It took me a while to find a nice flat as the majority of buildings are quite old. But the amount of erasmus sites available in the city made the process a lot easier. On average, how much did it cost to live in Lisbon? The rent costs between 250-400 euros depending on the location, the quality of the building, if bills are included are not as well as other factors. 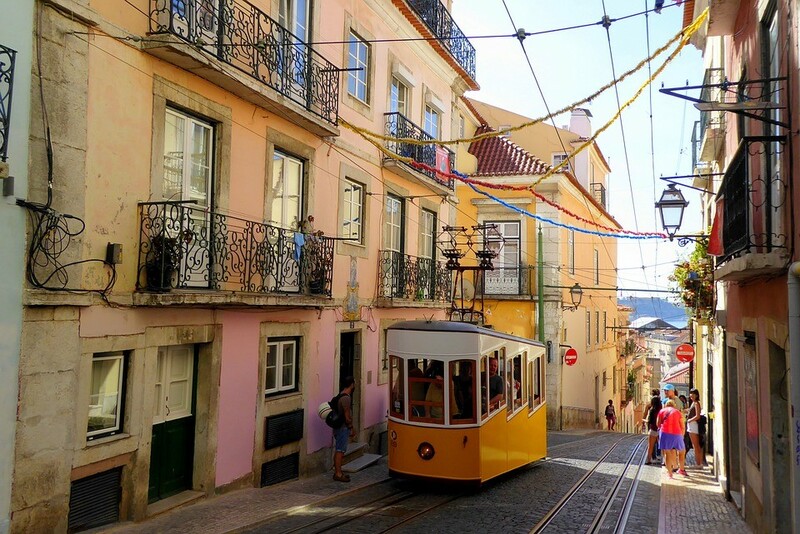 What's the cheapest way to get to Lisbon? Where would you recommend as a good night out? Can you recommend any favourite places to eat? How about cultural points of interest? The best trips are the ones organised by Erasmus, and Facebook Erasmus groups are essential. Any advice for future students in Lisbon? Get yourself a Viva metro card and don't stop using it! Before coming to Lisbon, look for a Erasmus Lisboa Facebook group. It'll make life much easier and they're always there to answer any doubts.